The Brazilian real fell against the US dollar today, but Brazil’s officials were not concerned by the dollar’s strength, thinking that there are plenty supportive fundamentals for the Brazilian currency. Finance Minister Henrique Meirelles said at the press conference in Davos that high commodity prices and prospects for economic recovery should support the real. The currency has already gained 1% this year. A strong currency should reduce inflation, and that in turn can allow the central bank to proceed with its plan of interest rates cuts. 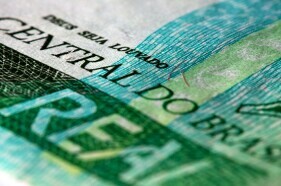 USD/BRL rose 0.26% to 3.2199 as of 15:16 GMT today.